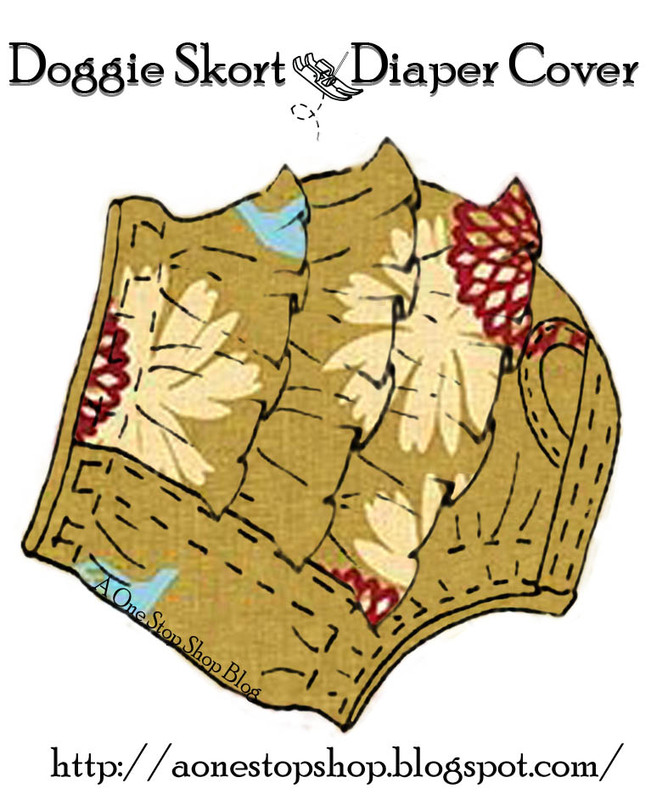 This 2-in-1 Doggie Skort & Diaper Cover pattern is perfect to make your small dog. You can use this Doggie Skort/Diaper Cover Pattern and my Bella Frill Dress Pattern to make a set outfit. To ensure that the Skort doesn’t come off, you can also sew some Velcro or buttons onto the Bella Frill Dress & the Skort or Diaper Cover at waist/band to give that extra hold. For male doggies, you can use a suspender to hold the Diaper Cover in place or attach it to any other shirt that you are making. You can use the Pleated Coat Pattern to make a shirt to go with this diaper cover. Please note this Doggie Skort / Diaper Cover Sewing Pattern is intended for small dogs. This pattern is not a One Size Fit All pattern. If you want to make one for your dog, you might need to make small adjustments accordingly. I haven't had time to write the sewing instructions yet, but will have it for you in the next few days. Print on Legal Size Paper 8 ½” x 14"
You can use the same Waist Binding Patterns to create your ruffles. Questions & Comments are welcome! Patterns are for personal use only, not for commercial use. I do, however, appreciate crediting my blog or linking back to the base pattern. You are not able to re-sell the original pattern. Patterns maintain copyright restrictions. You are not allowed to create products from these patterns for commercial use. Patterns on this blog are not intended for re-sell. Any attempt to re-sell patterns from this blog is subject to legal action. © 2011-2012 AOneStopShop. All rights reserved • All Contents on This Blog is for Personal Use Only. Powered by Blogger.